Information Communication and Technologies (ICTs) are vital tools that religious organizations pervasively utilize in the United States of America (USA) to shape social issues, influence social policy and participate in governance. 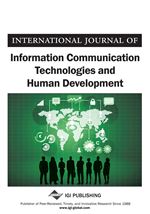 This paper articulates the different methods of deploying ICTs by religious organizations toward social justice and human development in the USA from historical to contemporary times. Furthermore, the article highlights the nexus of intervention strategies and ICTs to address social problems such as poverty, unemployment, child abuse, human trafficking, and environmental issues. Contemporary ICTs applications such as twitter, Facebook, blogs, online communities and classical media outlets such as television, satellite communications and radios used by religious organization in influencing governance will be examined. Implications for teaching, practice and future research are delineated. Scientific research depicts human races as comprised of periods or eras of civilizations: prehistoric, modern, and trans-modern civilizations. Each civilization, in the past as is the current civilization, is governed by rank order bureaucratic hierarchies infused with some type of religious or spiritual belief systems. These religious or spiritual belief systems play a pivotal role in the success of the governance and functioning hierarchy. Americans’ belief systems were composed of what Frankl (2006) calls a search for meaning in their spiritual world for answers to questions that were beyond their immediate comprehension. Native Americans sought answers through visions, through the earth and its natural elements (sky, wind, sun, rocks, rain), which was considered supernatural forces by white settlers who came to America. This search for answers by Native Americans was depicted as “spiritual” and was an integral aspect of Native American culture and communication structure (Griffiths, 1999). The spiritual practices offered Native Americans feelings of satisfaction not only internally but also guidance in how to behave in their daily lives and how to treat others (governance) (Garrett, 1998). Both religion, as practiced by the settlers and spirituality as practiced by Native Americans held significant roles in the governance process during the development of the USA. As immigrants from other countries continued to populate the 13 original colonies, the primordial form of ICTs was primarily human interactions.